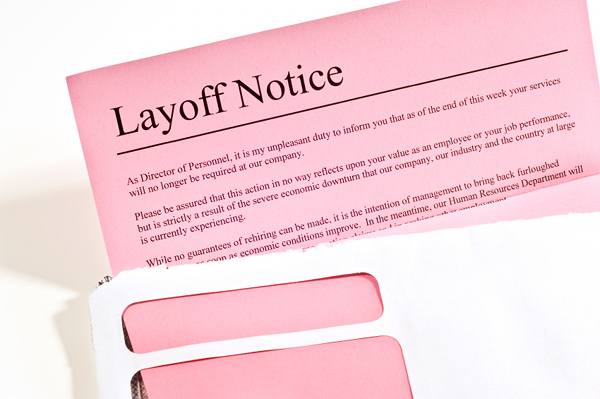 Laying off employees sometimes becomes inevitable, especially in times of economic crunch or adverse business conducting scenarios. There are certain labour laws which are to be adhered while making your employees redundant and you must comply with all such regulations before you execute this activity. Announcement of layoff can be made via email, sending it to every individual who is to be made redundant. You should start your email by mentioning the current position of your business and the external economic environment prevailing. Mention to the employee that the company is facing problems to pay wages of this much number of employees under current circumstances. Begin the second paragraph by mentioning that the recipient’s name has been included in the list of employees who are to suffer the layoff. Tell the employee that it is not the fault of his/her performance but it is the need of the time to cut down the work force of the company to reduce the operating costs. Conclude your email by telling the employee that he/she will be properly compensated for making redundant and wish him luck for his/her future endeavours. You must be aware of the economic crunch our state is facing at the moment. The adverse circumstances have made it difficult for most businesses to keep their operating costs low. Like many other companies of our operating sector, it has been decided to make some of the employees redundant. I sadly announce that you are among the few employees whose name is included in the list of redundant employees. The board of directors have decided to eliminate your designation for the purpose of cost reduction in the future. You should be aware that it is nothing to do with your personal performance but it is purely a decision made to counter the unfavourable business conditions. You are been given a notice period of two months, during which you have to serve your duties to your full capacity. You shall be duly compensated as per the redundancy laws of out state. Good luck for your future endeavours. I need to inform you that it has been observed that your operating segment has not been able to deliver as per the expectations of the board of directors. Your sales department has failed to achieve its set targets and has been going in loss for the past one year. The board of directors has decided to shut down the Miami sales department next month and all the employees are to be made redundant. I sadly inform you that the company will layoff you next month. You shall be made redundancy payment as mentioned in the Articles of the company. I wish you best of luck for your career in the future.